Although the Auto Levels adjustment option is a viable way for altering color or tone, it is not a recommended feature for high-quality print graphics. It is not precise and should only be used when simple contrast adjustment is required. Auto Levels sometimes overcompensates for tonal variations and will leave an image looking saturated and muddy. TRY IT To adjust color using levels, open the image you want to affect and select Image I Adjustments I Levels or press CTRL-L (Windows) or CMD-L (Mac). This launches the Levels dialog box, which opens showing what's referred to as an image's histogram. • To adjust overall tones, move sliders below the histogram or insert values in the boxes above. 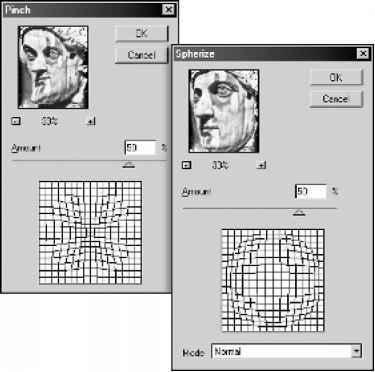 • To adjust specific colors, select the desired Channel (Cyan, Magenta, Red, or Green, depending on the color mode you are in), and move sliders or insert values according to the desired outcome. • Click OK when you are satisfied with the alterations. (Windows) or CMD-L (Mac). This launches the Levels dialog box, which opens showing what's referred to as an image's histogram. • Drag the black slider to the edge of the first group of pixels on the left side of the histogram to increase the darkness of the shadow. • Drag the white slider to the edge of the first group of pixels on the right side of the histogram to increase the lightness of the highlights. • Drag the gray slider back and forth between the black and white sliders to alter the intensity of the midtones until you are satisfied with the outcome.